A round of strong to severe storms is possible overnight Friday ahead of a strong arctic cold front. As the rain moves out early Saturday much colder air will begin moving in with falling temperatures expected through the morning hours and a strong northwest wind. Isolated severe weather is possible tonight. 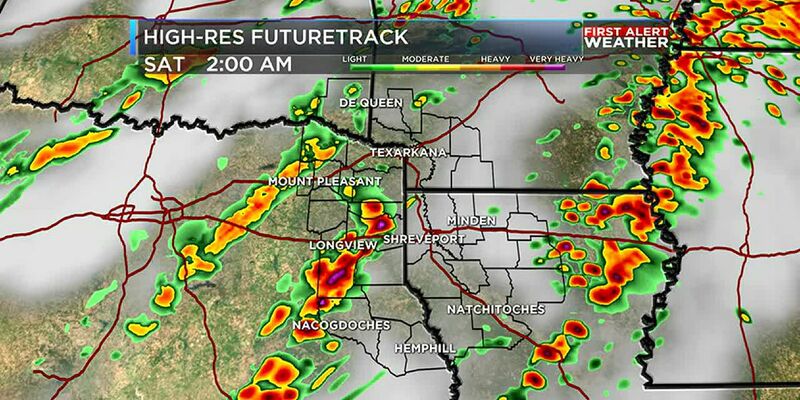 All of the ArkLaTex has been placed under a ‘Marginal’ risk of severe weather. The greatest risk of seeing strong storms is between 11pm and 5am. The primary risk is for the potential for hail up to quarter-sized in the strongest storms. Some wind gusts of 40-50mph are also possible. The tornado risk looks very low. For most of the area precipitation will end by sunrise. Some lingering moisture around the I-30 corridor combined with temperatures falling into the 30s tomorrow morning could bring a few snowflakes to that part of the ArkLaTex before precipitation completely ends. With temperatures above freezing and any frozen precipitation not lasting very long, no accumulations or travel issues are expected. The arrival of the colder air will also be accompanied by a strong northwest wind. A Wind Advisory is in effect for the entire area through 6pm Saturday. 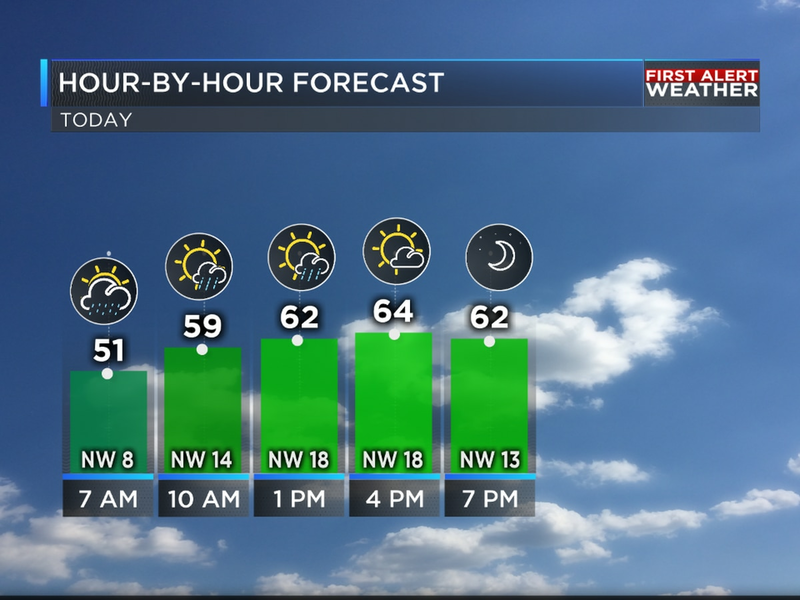 Temperatures will drop into the low 40s by mid-morning and will likely staying there through the afternoon. When combined with the strong winds it will feel like it’s near freezing for most of the day.